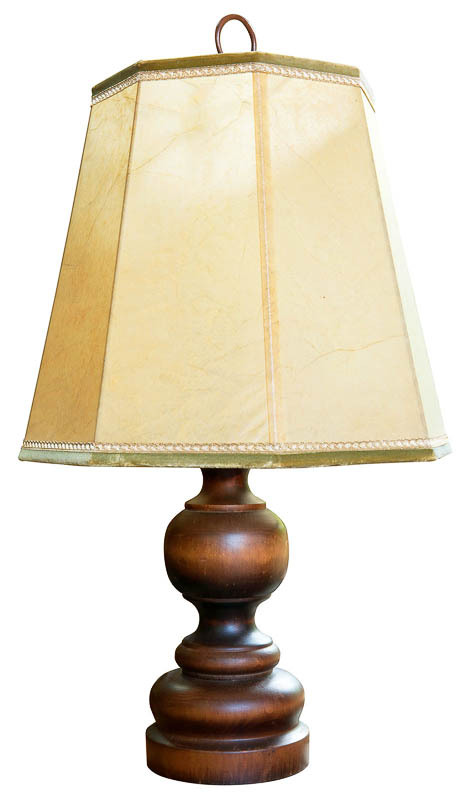 Old wooden desk-lamp, isolated on white background with clipping path. Antiquarian craft object. Home furniture and household. Hand-made article. Decoration product.